This spectacular Amangani home is nothing short of amazing. Overlooking historic ranch lands is a home built to provide a peaceful existence. With over 11,000 square feet of living space this home boasts 5 King sized luxury suites complete with in-suite bath, a library, media room, exercise room and a bunk room. A gourmet kitchen complete with a double Sub Zero Fridge, Wolf Oven opens to the dining and living room for easy entertaining. Expansive windows off the kitchen and living rooms highlight the panoramic views to the west. Enjoy the sunset over the stunning Snake River and Teton ranges on one of the 3 expansive terraces, relax in a king sized hot tub or sink into the media room for some on screen entertainment.Lutron lighting and a Sonos sound system run throughout the house. This home sits adjacent to the Aman resort open space and is accessible by footpath to the resort where Amangani homeowners enjoy access to the resorts amenities including use of the pool, 24 hour concierge service and more. 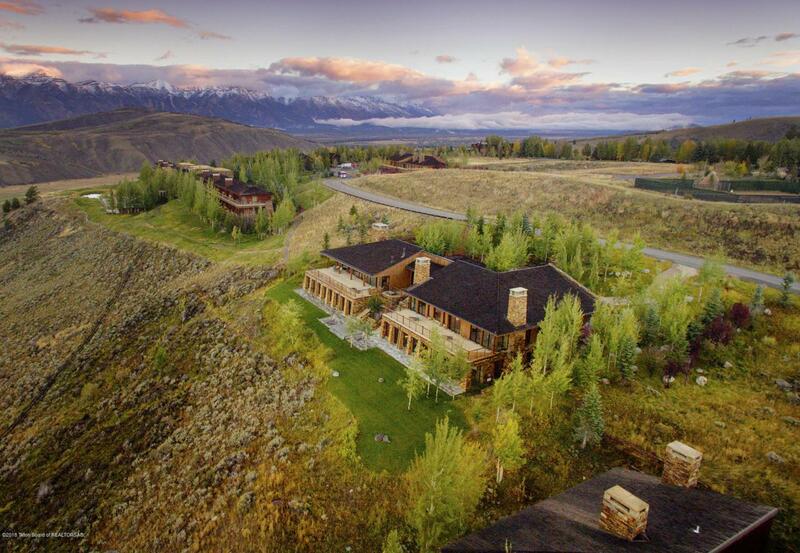 Listing provided courtesy of Team Jh of Century 21 Jackson Hole.